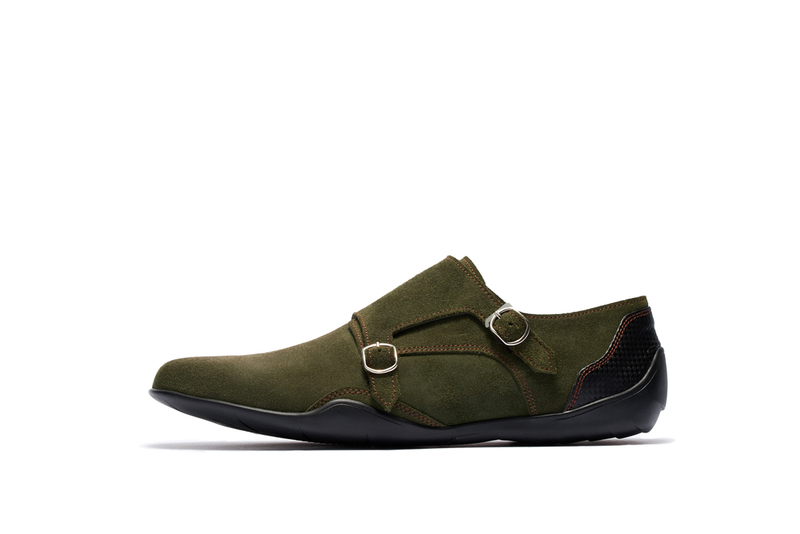 Low Top Toscana Suede double monk strap Shoes in LEAF. The Monk Strap has adjustable tightness via pin hole silver strap buckles. Adjustable Modes: Fasten the Duralumin Hook over the top buckle for Driving Mode, and unfasten for Leisure Mode. Carbon Pattern Lining. Unique to NEGRONI are the Bucket Insoles for Heel support with 3 types of cushioning for maximum comfort while driving or walking. Made in Japan.